Jungle Adventure Combo features a large bouncing area, basket ball hoop, and a 13' slide with a 50 degree sliding angle to even give older kids a RUSH! ** Note: Dry Combo= no water. ** Includes blower & (4) stakes. 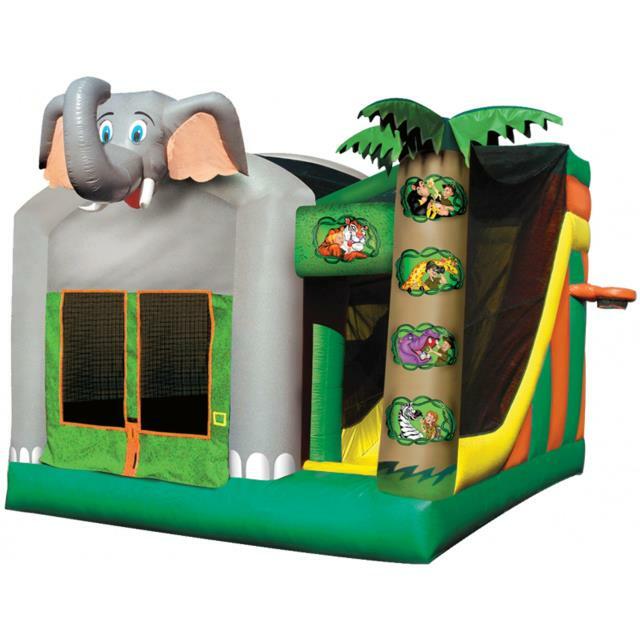 * Please call us for any questions on our jungle adventure slide/bounce combo rentals in Rocky Mount and Wilson NC.